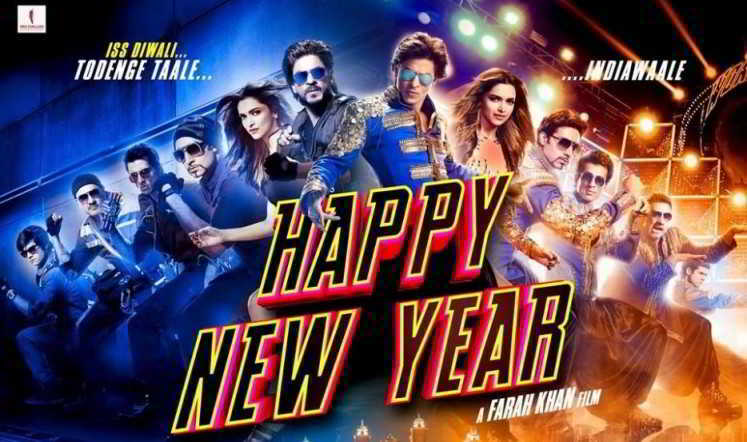 Happy New Year is an action comedy drama movie produced by Gauri Khan under the banner of Red Chillies Entertainment staring Shahrukh Khan, Deepika Padukone, Abhishek Bachchan, Sonu Sood, Boman Irani, Jackie Shroff. The film is directed by Farah Khan who launched Deepika Padukone in her film Om Shanti Om. Soundtrack of the film is composed by Vishal and Shekhar and beautiful lyrics are written by Irshad Kamil.